Since 1913, Lake Junaluska has been home to thousands of events and worship experiences. We continue to live our heritage as a place for learning, spirituality, and enrichment. Over 150,000 people share in learning and spiritual formation at Lake Junaluska. Events for all ages focus on discipleship, leadership, worship, growing vital congregations, creativity and the human spirit, and clergy renewal. Guest leaders, speakers, and preachers include renowned leaders from the U.S. and around the world. We invite you to experience the joy of learning, spirituality, and personal enrichment at Lake Junaluska. Are you looking for renewal? We do all the work, so all you have to do is rest and enjoy the blessed sights. Sleep late. Walk around the lake. Read a book while you sit comfortably on a rocking chair. You are at Lake Junaluska, a haven for all who need some relaxing, peaceful time. With over 400 lodging rooms, we can easily accommodate groups of all sizes and budgets. Lake Junaluska Lodging facilities are unique inside and out. From the historic columns of Lambuth Inn to the spectacular views from the Terrace dining room, our lodging will make your visit exceptional and memorable. Spiritual Enrichment and Leadership for congregations and individuals have always been hallmarks of the Lake Junaluska experience. We offer a variety of events designed for you. Discover many opportunities offered throughout the year at Lake Junaluska. Whether you want to enjoy a traditional or emerging worship service, Lake Junaluska offers the opportunity to participate in Arts and Worship events and also to learn about them. Road Scholar is the world’s largest not-for-profit educational travel organization for older adults. (Road Scholar is formerly known as Elderhostel.) Participants must be age 55 or older or have a traveling companion of eligible age. Lake Junaluska hosts many Elderhostels year round. Click here for exciting Road Scholar opportunities. We recognize the value of Clergy Leadership in The United Methodist Church. Whether you want to enrich your ministry in a small, medium or large sized church, we have the perfect event for you. Our new Learning and Leadership Partnership with The Alban Institute will expand our leadership seminar events at Lake Junaluska. Youth and Young Adult discipleship is of the great importance in the life of the church. 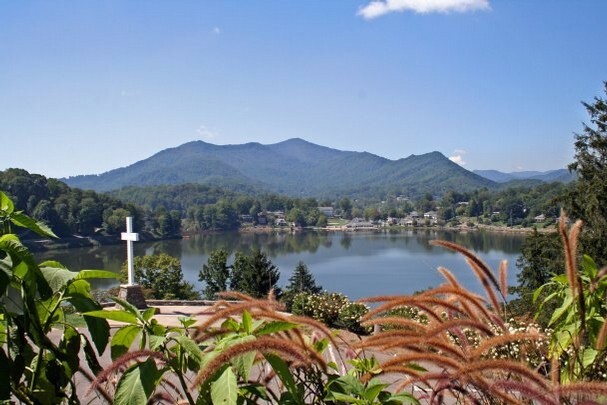 Lake Junaluska offers a wide variety of Youth and Young Adult spiritual events and camps. Events range from United Methodist Confirmation retreats to SURGE Summer Youth Events. Come with your youth group for a youth ski package packed with worship, fellowship and skiing. Our programs include relevant contemporary spiritual messages and an awesome Christian music concert. Youth Ski Packages include skiing at Cataloochee or Wolf Ridge ski areas. We make your weekend simple. Our youth ski packages include lodging, meals, skiing and program. We do the planning - you enjoy the experience! For more events and opportunities, please visit at Lake Junaluska Conference and Retreat Center.